Velvety and smooth, this vanilla flavour is for kids and adults alike who like to keep things simple. Horrible taste, texture, everything. The cardboard box with a little bit of maple syrup tasted better. So good! Super easy and quick to make..I wish I could eat them everyday but probably wouldn't be a good idea. 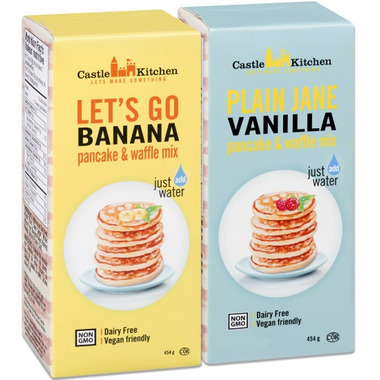 I bought this to have an easy egg and dairy free breakfast to make for our daughter in the mornings. It is quick and simple to make up and is really delicious. It is a tiny bit runnier than a typical pancake batter but the pancakes are still fluffy. 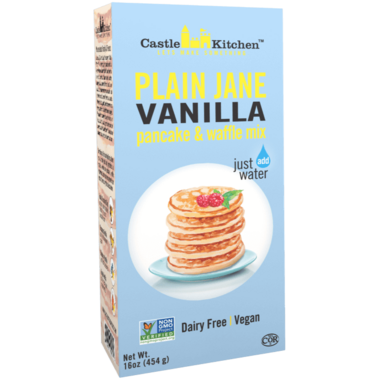 This is the best tasting pancake mix ever. only downfall is that it is a little expensive but it is worth it for a great product! Tastes amazing! Adding chocolate chips, even better.